Squeeze the lemon juice into the warm water…well it should be a little hot but not boiling. stir in the honey and cinnamon and drink away. That sounds amazing. I could drink one even though I don’t have a cold! Good stuff. It really works. Lemon and honey in a tea is lovely and soothing. I’ve also recently discovered ginger for a cold. Grate it (rather than slice it) and pour hot water over it. Not as tasty as honey, but so gives relief when you have a cold. :). 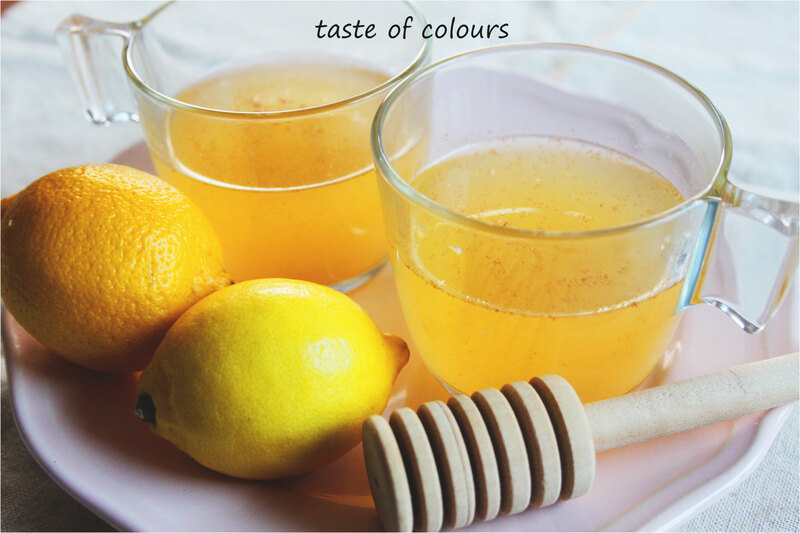 Add some honey to the ginger tea and it works just as well. I couldn’t get thru my days without lemons, honey and ginger. Your timing is perfect. I’d rather treat my cough naturally. Had forgotten about this remedy. Thanks for the welcome reminder.